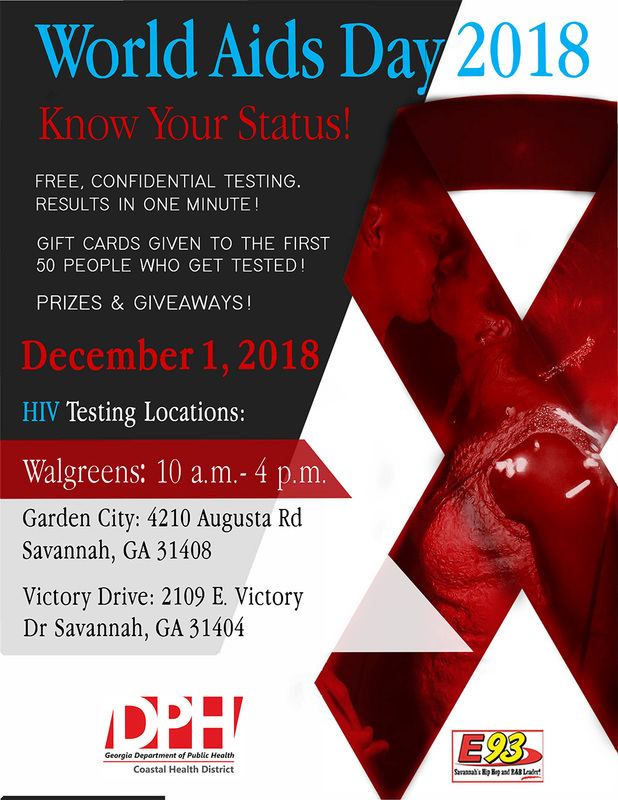 The Georgia Department of Public Health Office of HIV/AIDS, Sister Love, Inc., and the Coastal Health District will host the “Ladies Who PrEP Summit” in Savannah on April 13 at the Savannah Marriott Riverfront. WHY: Attendees will be empowered to take control of their sexual health as they discuss women’s sexual health issues and learn about Pre-Exposure Prophylaxis (PrEP) as an HIV prevention option. The day will be a great blend of education and fun as attendees will enjoy food, celebrity guest panels, music, and interactive skill building activities from health experts. Click here for more information about PrEP. Health departments in Bryan, Camden, Chatham, Effingham, Glynn, Liberty, Long, and McIntosh counties will begin offering flu vaccine on Monday, September 24. Regular flu shots are $29 and high-dose flu shots – made especially to protect those 65 and older – are $55. Cash, checks, credit cards, most major insurances, Medicaid, and Medicare will be accepted. The flu can cause mild to severe illness and getting the flu vaccine is the best way to protect yourself, your family, and your community from the virus. Every flu season is different and we never know how bad a flu season is going to be or how long it’s going to last which is why it is important for everyone six months of age and older get the flu vaccine every year. Last year’s flu season was particularly severe with widespread flu activity around the state of Georgia and throughout the country. Generally speaking, flu season starts in October and peaks around January or February but it’s not too early to get the flu vaccine. The duration of flu seasons varies but last year’s season lasted well into the Spring. For more information or to download and fill out the consent form ahead of time, go to gachd.org/flu. The conversation about HIV is changing. #TalkUndetectable this National Gay Men’s HIV/AIDS Awareness Day (NGMHAAD), Thursday, September 27, and come in for FREE HIV testing at health departments in Bryan, Camden, Chatham, Effingham, Glynn, Liberty, Long, & McIntosh counties. 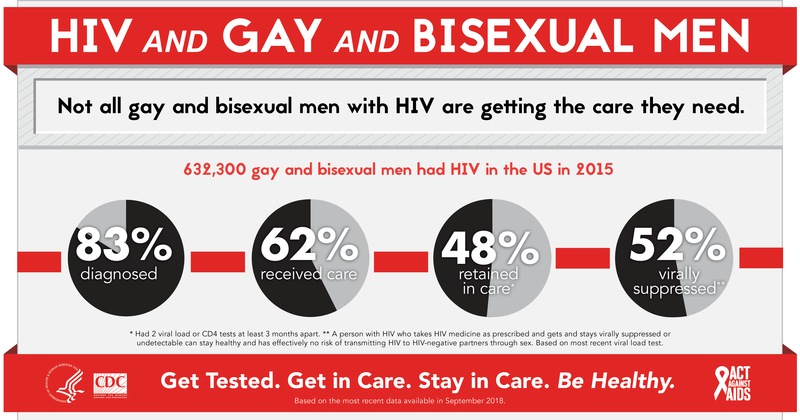 National Gay Men’s HIV/AIDS Awareness Day (NGMHAAD) is observed each year on September 27 to direct attention to the continuing and disproportionate impact of HIV and AIDS on gay and bisexual men in the United States. Get more info. on at http://bit.ly/2xcigOa. DEET – Cover exposed skin with an insect repellent containing DEET, which is the most effective repellent against mosquito bites. Drain – Empty any containers holding standing water because they are excellent breeding grounds for virus-carrying mosquitoes. 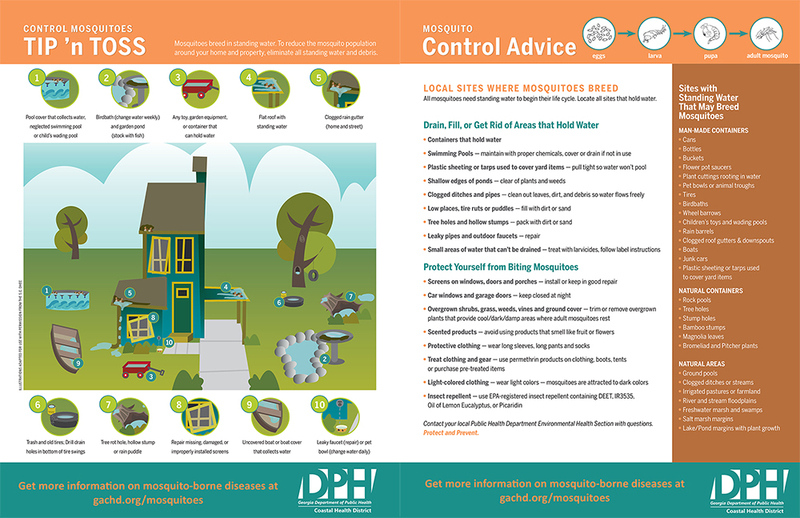 Symptoms of WNV include headache, fever, neck discomfort, muscle and joint aches, swollen lymph nodes and a rash – that usually develop three to 15 days after being bitten by an infected mosquito. The elderly, those with compromised immune systems, or those with other underlying medical conditions are at greater risk for complications from the disease. Anyone with questions about WNV or EEE should speak to their health care provider or call their local county health department, environmental health office. The Georgia Department of Public Health (DPH) is the lead agency in preventing disease, injury and disability; promoting health and well-being; and preparing for and responding to disasters from a health perspective. DPH’s main functions include: Health Promotion and Disease Prevention, Maternal and Child Health, Infectious Disease and Immunization, Environmental Health, Epidemiology, Emergency Preparedness and Response, Emergency Medical Services, Pharmacy, Nursing, Volunteer Health Care, the Office of Health Equity, Vital Records, and the State Public Health Laboratory. For more information visit: www.dph.georgia.gov. 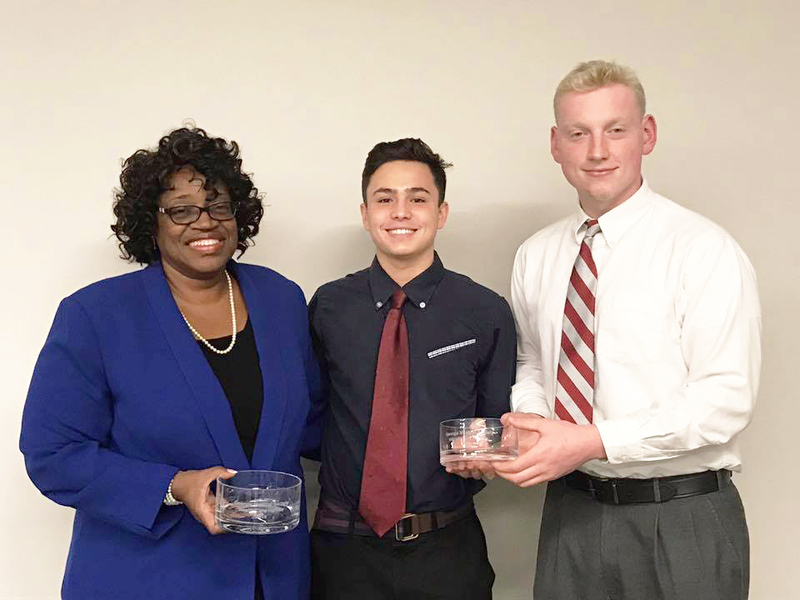 The Coastal Health District Chronic Disease Prevention Program will offer free blood glucose screens in Chatham and Effingham counties in August and launch National Diabetes Prevention Program in September. There are more than 79 million Americans who have prediabetes and many do not know it. People with prediabetes have blood glucose (sugar) levels higher than normal. The levels are not yet high enough for a type 2 diabetes diagnosis; however, people with prediabetes are more likely to get type 2 diabetes than others. Diabetes can lead to serious health complications, including heart attack, stroke, blindness, kidney failure, or loss of toes, feet, or legs. Even though prediabetes puts you at high risk, there are ways you can lower your chance of getting type 2 diabetes. Free blood glucose (sugar) screens will be held from 10 a.m. – 12 p.m. and 1 p.m. – 3 p.m. at the Chatham County Health Department located at 1602 Drayton St. on Thursday, August 23, and at the Effingham County Health Department located at 802 Hwy. 119 South in Springfield. on Thursday, August 30. Those who score a 9 or higher on the CDC Prediabetes Test or have a blood glucose reading in the prediabetic realm will be invited to take part in our upcoming Diabetes Prevention Program. The program is free and designed to help prediabetics avoid type 2 diabetes by making modest lifestyle changes. 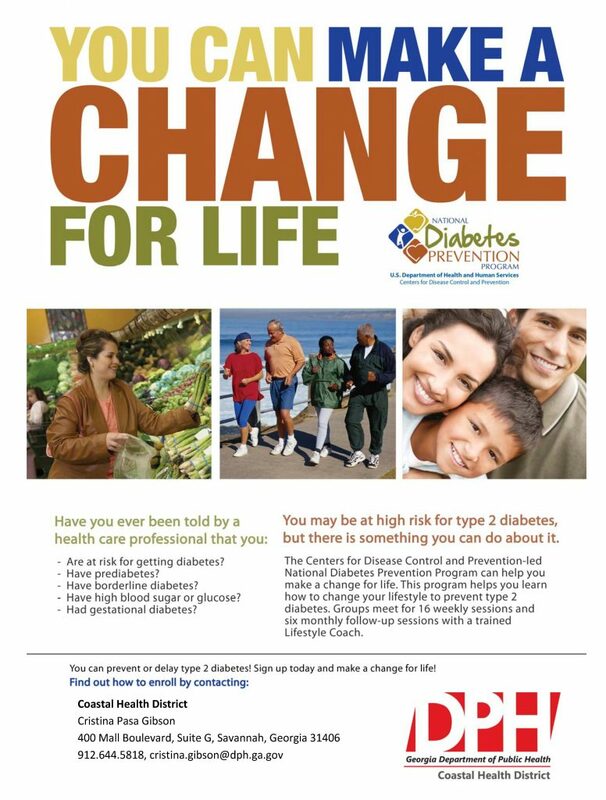 The National Diabetes Prevention Program will kick off in September. This is a year-long program designed to help prediabetics avoid type 2 diabetes by making modest lifestyle changes. The participants will be provided a Lifestyle Coach and a group for support, a group facing the same challenges and trying to make the same changes. An informational meeting about the Diabetes Prevention Program will be held from 5:30 p.m. – 6:30 p.m. on Thursday, September 6, at the Coastal Health District administrative office located at 400 Mall Blvd. (South State Bank Building), Suite G in Savannah. Find a list of EPA-approved insect repellents HERE.